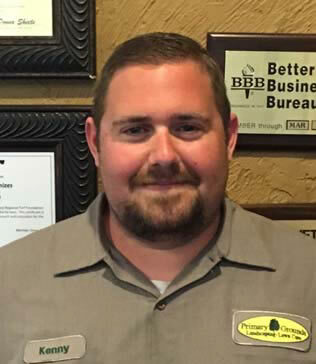 Primary Grounds is proud to announce Kenny Smock has become our second Certified Arborist on staff joining Michael Johnson, our Senior Arborist. Kenny joined Primary Grounds early in the spring of 2009 in the lawn maintenance division. In 2012 Kenny received a 3B Turf Certification and became our Lawn Care Manager. In 2013 Kenny also began working with Michael in the Ornamental Tree and Shrub division. With additional studies he passed his 3A Ornamental exam in 2015 to become a licensed professional in Tree and Shrub care. Early this year Kenny passed the Certified Arborist Exam. Kenny and Michael are growing our Tree and Ornamental division and are learning more treatment techniques and valuable knowledge regarding identification, diagnosis and treatment. We are very proud to have Kenny on our “PG Team” and wish him great success in the future. Call Primary Grounds today for a “Free” consultation regarding your ornamental landscape.